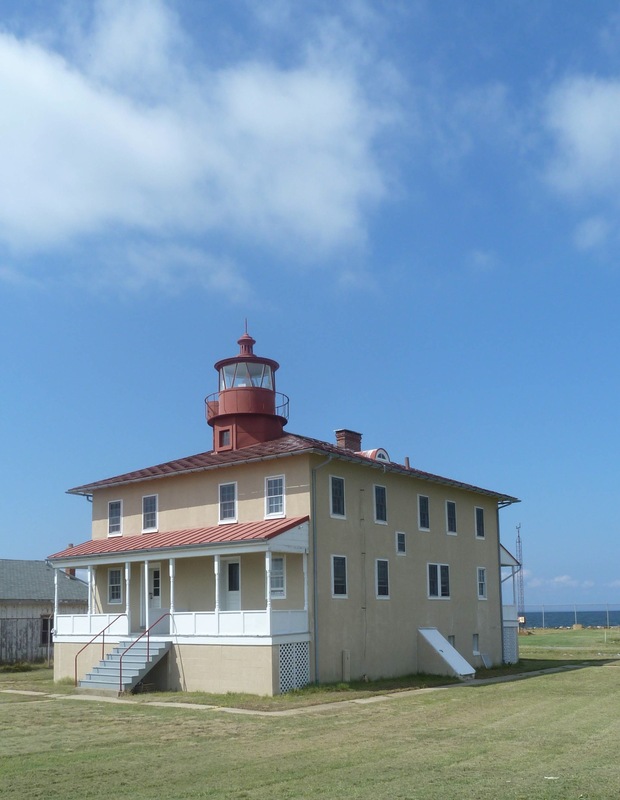 Point Lookout Lighthouse – Chesapeake Chapter U.S.L.H.S. The Point Lookout Lighthouse is located at the mouth of the Potomac River at the Bay and was originally constructed in 1830 as a one-and-a-half story wooden and masonry building. It was raised to two-stories in 1883 with the light raised to 41 feet. A free-standing fog bell was built in 1872, however, after the buoy repair shed was built in 1883, the bell could not be heard by mariners. A new bell tower was constructed and attached to the east end of the coal shed in 1889 to ensure mariners could hear the bell. The lighthouse was remodeled again in 1927 to its present day configuration as a duplex to allow two keepers and their families to live onsite. by chain link fence and is open to the public one day a month from April through November; please see www.PLLPS.org for the current open house schedule. is available for completion on this project.